All the features of the ToneCajon™ with the addition of a pair of Slap Pads™. An original Kotz innovation; Slap Pads™ are wooden pads with stepped backs that add yet another sound to the instrument's tonal palette. 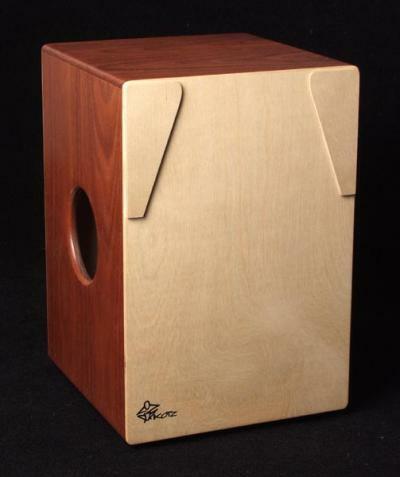 They provide a high pitched slap which can be used to simulate a snare back beat, the sound of sticks on the side of a timbale, or as accents for complex rhythms. Since one of the faces has the Pads and the other doesn't, it's like having two cajones in one. Available with an extra heavy duty 400 denier nylon padded gig bag. Click photo to see.